St. Patricks is a Nurturing School and is delighted to have been awarded funding for a Sunshine Room. Many children can find the transition from home to school difficult at times. 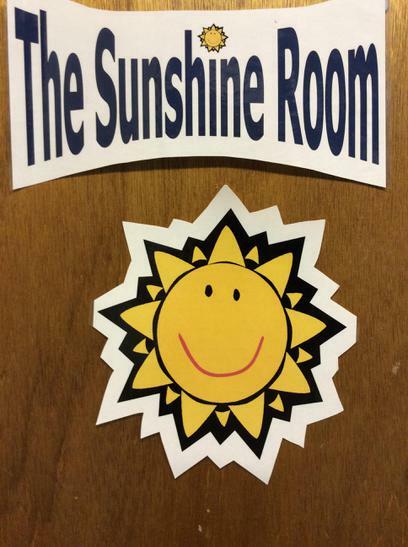 The Sunshine room is set up to include aspects of both home and the classroom in order to provide a safe and welcoming place for children to learn. A typical day in the Sunshine Room, like any classroom, follows a carefully planned timetable where it is the aim of staff to make a child feel valued and to engage them in learning. The role of play and activity based learning is important and as well as developing self-esteem and communication skills. We recognise the importance of nurture for the development of self-esteem. We recognise the importance of transition in children’s lives.